CRANBERRY TOWNSHIP, Pa. — No points in two playoff games for Sidney Crosby? That’s just not normal. 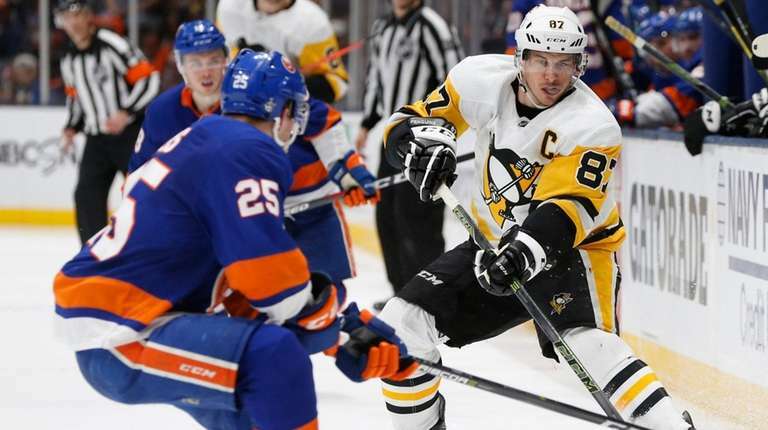 The Penguins’ captain, who has three Stanley Cup rings and 185 points in 162 playoff games, hasn’t had a sniff in Pittsburgh’s first-round playoff series against the Islanders, who lead two games to none. The Islanders threw different matchups at Crosby and have kept him away from the front of the net and off the scoresheet. All Sid the Kid has to show for his two games on Long Island are three shots on goal and one hooking penalty. One of the things Sullivan will try in an attempt to help Crosby is to alter his line a little bit. At practice Saturday, Sullivan put Dominik Simon, a 24-year-old Czech forward who had eight goals and 20 assists in 71 games in the regular season, on Crosby’s line. Simon, who scored only two goals in the last 40 games of the regular season, is expected to link up with Crosby and Jake Guentzel for Game 3 in Pittsburgh on Sunday. “He sees the ice well, he holds on to pucks, he has a good shot,’’ Crosby said of Simon, who replaces Bryan Rust at right wing. The Penguins put 44 shots on goal in their 4-3 overtime loss in Game 1 on Wednesday but were foiled by the stellar goaltending of Robin Lehner. 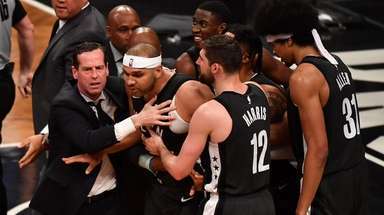 They had 33 shots in their 3-1 loss in Game 2 on Friday but said they believed they played better and generated more scoring chances in Game 2. Defenseman Kris Letang said the Penguins must cut down on their turnovers.